Remember the opening line to the movie classic Out of Africa? “I had a farm in Africa at the foot of the Ngong Hills…” Well, Enchanting Travels has a truly unique offering for guests on Kenya tours. 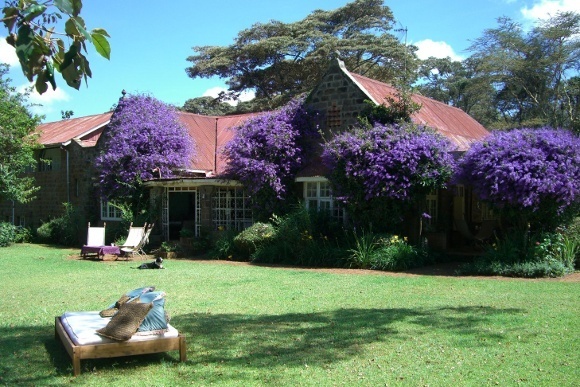 Doubling as Danish author Karen Blixen’s home in the 1984 film that highlighted her romantic history in colonial Kenya, we’re delighted to share Ngong Dairy with you, which, we should add, no other travel company has access to! While Ngong Dairy was not the house of the actual Karen Blixen – for this was being used for other purposes as the time of production – it is just a few minutes down the road. Ngong Dairy had belonged to the widow of Jomo Kenyatta, the first and former prime minister of Kenya. Today Florian Keller, Co-Founder and COO of Enchanting Travels lives in the property that was made famous by Out of Africa. Florian shares the highlights of living on this charming, timeless property, with plenty of reason to add it to your itinerary during your Kenya tours. Now his private residence, Enchanting Travels offers you the exclusive opportunity to dine by the famous fireplace at this house with Florian, during your private safari in East Africa. DESIGN MY AFRICAN SAFARI TODAY!